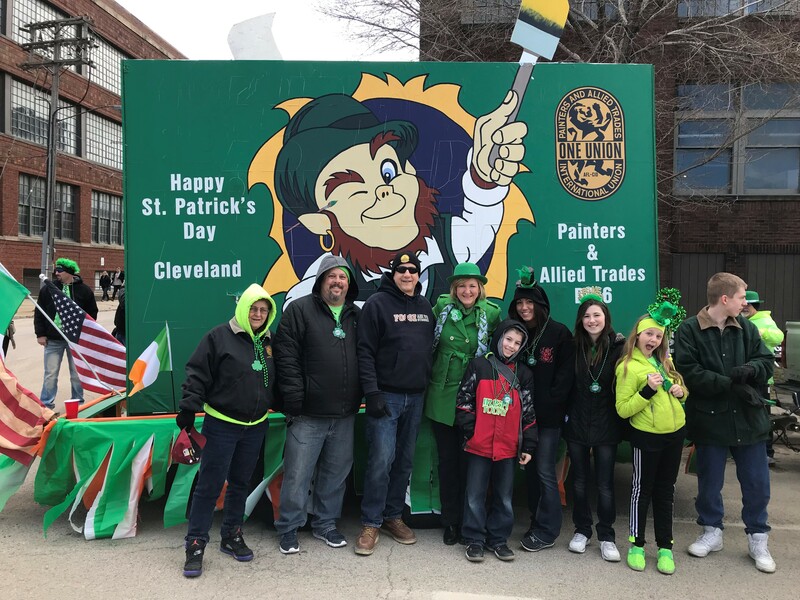 On March 17, 2018, members of District Council 6 participated in the annual St. Patrick’s Day Parade in Cleveland, Ohio. An estimated 10,500 people from 184 groups marched along the Superior Street route which began at East 18th Street and ended on Ontario Street. Lieutenant Governor candidate Betty Sutton (D-OH) was present for the parade and also took a moment to take a picture with members of DC 6. ): Lieutenant. Governor Candidate Betty Sutton (center) with the DC 6 staff and family members at the 2018 Cleveland St. Patrick’s Day Parade.